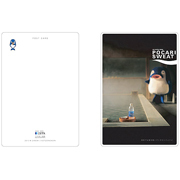 This product is designed by artist Nobumasa Takahashi in the project of "new souvenir" NOUVELLE WASANBON which is handled by Takamatsu Marugame-cho shopping center. Wasanbon is the Japanese traditional premium suger. 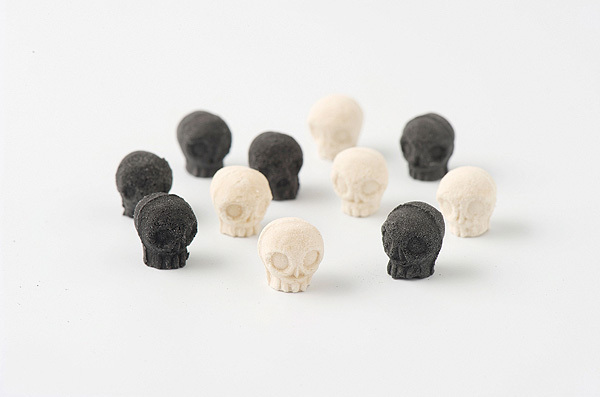 Probably the "black wasanbon" which uses bamboo charcoal is the first in the industry. 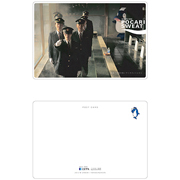 It is very nice for a souvenir. 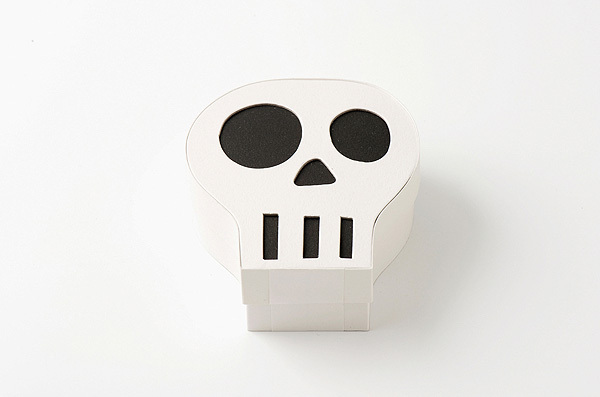 The recommended point by Takayanagi is the funny face of this skull box. The box which ate the wasanbon and became empty is put on the display shelf of a house. The naive textures of a carton adapt themselves to various interior design easily. Artist Nobumasa Takahashi is in charge of the design, the direction, and the promotion. The recommended point of Takayanagi is the packing in a box. 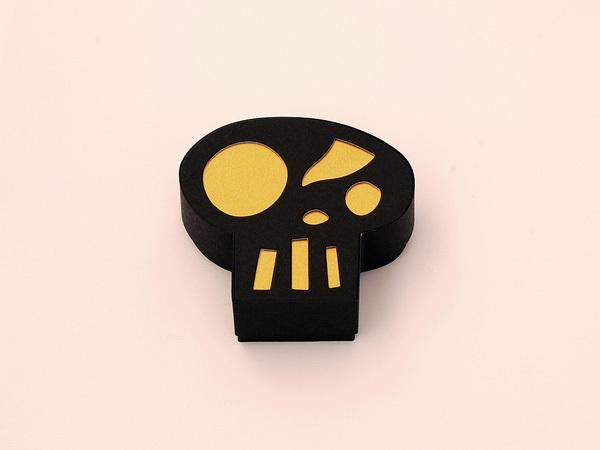 The vinyl package is the same skull shape as a box. And the inner black soybean is stripping off the skin only the portion of eyes. The cut end of opening the package is also three precuts like the teeth. When using as a present, it can boast somewhat. 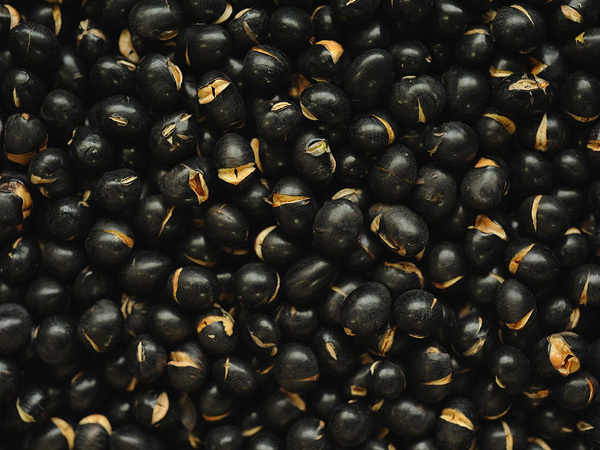 Of course, beans are also very delicious. Manufacturer : Tsutsui Seika Ltd. 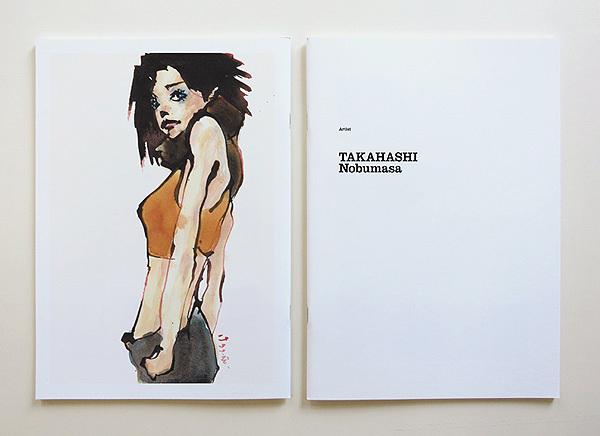 This is a girl's drawing collection which is work of artist Nobumasa Takahashi published by 81 BOOKS. Using a bamboo pen, it is strong and is expressing the painful and transitory image. A girl's expression twinges me. Takayanagi's favorite girl is a girl who attached the hair band and turned sideways. Personally speaking, It is one volume of the recollections of my youth around 20 years old which helped exhibition preparation of the Takahashi work. Manufacturer : Eighty One Inc. 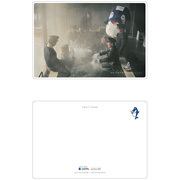 This is the the official postcard of Kotoden Onsen. Kotoden Onsen is a collaboration project of Kotoden (The Takamatsu Kotohira Electric Railroad Co., Ltd.), and Busshozan Onsen (Hot spring spa in Takamatsu). Photograph by GABOMI (lives in Takamatsu). Directed by Shohei Oka and Nobumasa Takahashi (both are the manager of Busshozan Onsen). 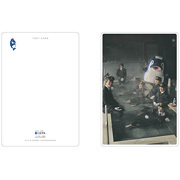 There are 1st season set (5 sheets) and 2nd season set (6 sheets). In 1st season, Otsuka Pharmaceutical Co., Ltd. took the side of support. 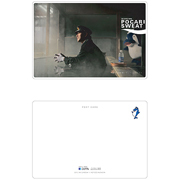 Otsuka Pharmaceutical Co., Ltd. is famous for sports drink “pocarisweat”. It is an impactful advertisement. 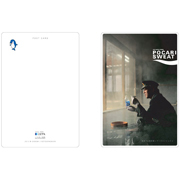 The active Kotoden crews wearing the uniform are drinking pocarisweat while taking a bath at the hot spring of Busshozan Onsen. In 2nd season, the photograph in which the mechanics of kotoden are shampooing in vehicles has left another impact again. The recommended point of Takayanagi is a mascot character "KOTO CHAN" of kotoden. With the photograph, he takes a position secretly or comments unselfconsciously. 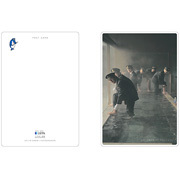 KOTO CHAN on the back of a card has made a pose which is all different, and is lovely.